It is a joy to see beyond the monkey mind to tap into powerful inspiration. United Service Workers West. Before that, he served as Campaign Manager at Presente.org, the largest online Latino advocacy organization in the U.S., directing its national environmental justice program and immigrant rights rapid responses. Currently, he sits on the Board of Directors for the Climate Advocacy Lab. Past work also includes working as the Deputy Press Secretary for Sierra Club’s Beyond Coal campaign Southwest region covering California, Nevada, Colorado, Arizona, New Mexico, and Utah. 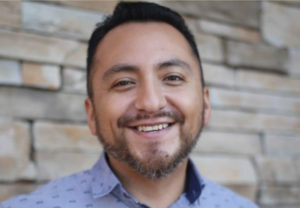 Refugio also did a stint as the Communications Coordinator for Good Jobs L.A. and got his start in environmental issues as Project Organizer for Heal the Bay, a Southern California environmental nonprofit that focuses on revitalizing the Santa Monica Bay. Refugio's proudest moments in his career of activism include seeing Mayor Antonio Villaraigosa get L.A. on a path to become coal-free. Also having the California legislature focus on growing renewable energy in low-income communities was a pivotal moment. He has a personal favorite – stopping the deportation of his parents and brothers in immigration court after years of litigation. Everyone in Refugio's family is now a proud U.S. citizen. All of these victories have one thing in common – at one point or another, they were considered a long shot to win, but in the end, justice prevailed.